Kansas State clinched the Big 12 regular season crown and the automatic BCS bid it ensures after topping Texas, 42-24 on Saturday night. The Wildcats, no longer in the hunt for the national title game, will take part in the 2013 Fiesta Bowl, where they will play either an at-large team or the Big East’s BCS representative, Louisville. The Pac-12’s Oregon is a likely foe for the Wildcats. 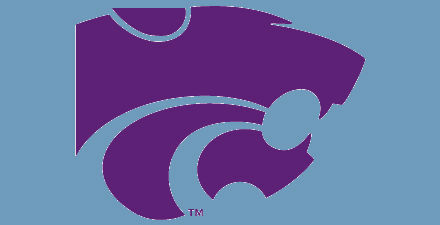 The bid to the Fiesta Bowl is Kansas State’s second BCS bid in the BCS era, it first coming in the 2004 Fiesta Bowl after the Wildcats won the now defunct Big 12 Championship Game over a previously No. 1 Oklahoma squad. The Wildcats lost that 2004 Fiesta Bowl to Ohio State in a fun game from Tempe, Arizona. The Wildcats’ victory over Texas ensured that Kansas State would claim the league’s automatic BCS bid, but Oklahoma, which clinched a share of the conference title Saturday afternoon, is at the top of the at-large list that will be available to BCS bowl committees when they pick teams tomorrow. West Virginia and TCU will officially make the switch to the Big 12 on Sunday, marking the latest official move in the seemingly endless train of conference realignment. West Virginia joins the conference after severing ties with the Big East, while TCU is leaving the cozy comfort of the Mountain West to join the ranks of the misnomered AQ conference. The two squads replace SEC-bound Missouri and Texas A&M to once again give the conference just 10 member schools. Both West Virginia and TCU endured some controversy on their way to the Big 12. TCU was originally scheduled for a move to the Big East, but dropped that plan once a spot in the Big 12, a more logical geographic group, opened up. The Big East is suing TCU for reneging on that agreement. West Virginia left the Big East in a storm of lawsuits and broken agreements, which ends with the school paying the conference a $10-million exit fee, with the Big 12 reportedly kicking an extra $10 million. Scroll down for full results! One of the best things about the BCS Know How State of the BCS survey is that is gave us an insight into statistics and opinions that haven’t really been explored before. Most notably, we wanted to see how badly the BCS was hated, who wanted a playoff and who thought they were getting the short end of the stick. With the more than 3,100 results all tabulated and reviewed, it’s pretty obvious. Atlantic Coast Conference fans feel a little peeved about the BCS. By splitting our sample into fans who self-identified as being from the states where each of the six AQ conferences have teams, we could easily see who among the six groups want change the most. And it was pretty clear — ACC fans have real beef with the BCS. In our original survey, 73 percent of respondents said they wanted a playoff. But in ACC country, more than 81 percent called for the overhaul many have wanted for seasons and a system ACC fans think their teams might have benefitted from. ACC country also accounted for the largest portion of respondents who said they were at least “somewhat unhappy” with the current system of crowning a national champion — 90 percent were at least a little peeved at the system that hasn’t given the ACC a champ in quite some time. Not surprisingly, fans from states with SEC teams were a little warmer to the ideas behind the current BCS after having produced each of the last six BCS national champions. Yet, given the fact that the SEC seems well suited for the BCS system, the response was not much warmer than average. Of the six major AQ conferences, SEC fans only wanted a playoff 66 percent of the time, well less than the 73 percent among all respondents. SEC country also had the highest density of “plus-one” supporters, with 29 percent supporting that system against just 20 percent support overall. SEC fans claimed the BCS formula was a fair process for evaluating teams 36 percent of the time, well clear of the overall feeling toward the formula, which got a cold 29 percent approval rating. There certainly is some overlap between “fan groups,” and the process of saying fans from states with teams are automatically fans of those teams. But the mentality of the fans can spread among neighbors and friends, so it’s as good a look as we can get right now. For fun, we also included a group lovingly called the “Little Sisters” subgroup, fans from Idaho, Utah and Hawaii — three states that have given us recent memorable “BCS Busters” in Boise State Broncos, Utah Utes and the Hawaii Warriors. We excluded Texas (TCU) for obvious reasons. Among this group, and even though realignment will soon have given both Utah and Boise State a chance to play with the AQ conferences, the hatred was even more deep-seeded than in ACC territory. A whopping 99 percent of respondents from the three states were at least “somewhat unhappy” with the BCS, while 94 percent called for a playoff to be put in place. 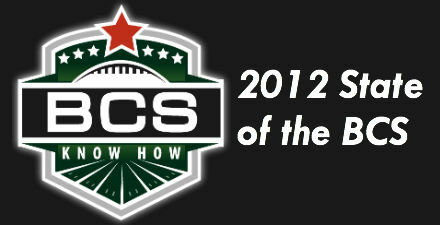 Fans from the three states gave the BCS a paltry 11 percent approval rating. Here’s a collection of the entirety of the geographical findings (overall results in BOLD). How would you change the system? How pleased are you with the way a champion is crowned in FBS college football? Is the current evaluation method used by the BCS (human polls, computers) to judge teams fair? Welcome to the 2011 college football season! 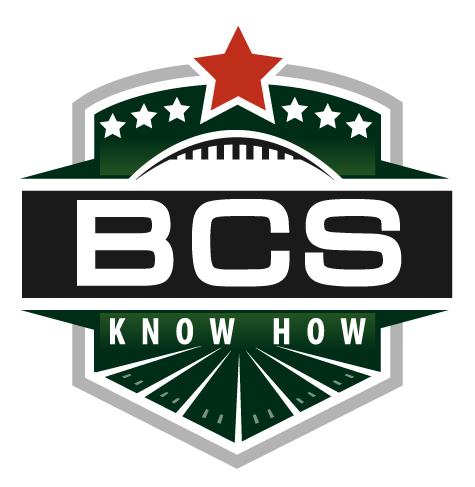 BCS Know How will be taking you through the six automatic-qualifying BCS conferences and five non-AQ conferences with profiles of each conference. We continue with the Big 12. Scroll down to see our profiles of the other 10 conferences. 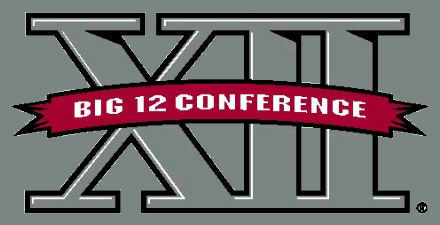 2011 Outlook: With conferences adding and shuffling teams left and right, the Big 12 seems to have been left behind and somewhat forgotten. A conference with just 10 teams (although they kept the ‘Big 12’ moniker) might seem destined to fall back into the second-tier of automatically qualifying BCS conferences, but the Big 12 seems ready to pick up right where they left off as a BCS power conference. 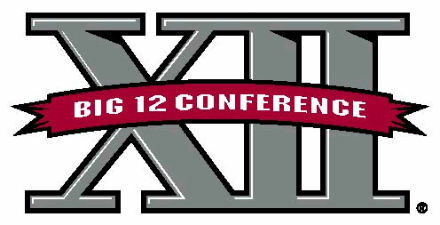 In the process, the Big 12 is now a single-division conference and no longer will hold its traditional conference championship game. Gone might be Nebraska (to the Big Ten) and Colorado (to the Pac-12) but traditional powers Oklahoma and Texas are ready to lead a stacked 10-team conference into the future. But who will stand up in 2011? Could it be one of those traditional Big 12 powers, or can Oklahoma State, Texas A&M and Missouri show what it takes to make the next step in the smaller conference? 2011 Heisman Hopefuls: Oklahoma QB Landry Jones; Oklahoma State WR Justin Blackmon, Baylor QB Robert Griffin, Nebraska QB Taylor Martinez. How They Got Here: After finishing in a three-way tie for first place in the Big East conference, the Connecticut Huskies were the beneficiaries of the tiebreaker with both West Virginia and Pittsburgh after beating both teams during the regular season. As the winner of the tiebreaker the Huskies were awarded the Big East’s automatic BCS bowl bid. Connecticut’s 2010 Season: Expectations were high for the Huskies entering the 2010 season, but after starting the season 1-2 against non-conference opposition, people began to rethink their opinion of Connecticut. Then when the Huskies dropped their first two Big East games, there were even doubts about UConn’s bowl eligibility hopes. But after rolling off four straight victories against Big East conference opponents, the Huskies were in position to win the Big East conference’s BCS bowl bid by virtue of a tiebreaker. Then on the final day of the 2010 regular season, the Huskies pulled out a last-second victory over South Florida on the strength of a Dave Teggart’s 52-yard field goal with 17 seconds to play — clinching the three-way tie atop the Big East at 5-2 and a BCS bowl bid. How They Got Here: Champions of the Big 12 South division on the strength of their finish in the seventh BCS standings of the season, the Oklahoma Sooners clinched another BCS bowl bid with their 23-20 victory over Nebraska in the Big 12 Championship Game in the final week of the season. Oklahoma’s 2010 Season: The Sooners were among a select group of teams that pundits believed had a chance at a national title in 2010, and the Sooners looked the part, climbing as high as No. 1 in the BCS early in the 2010 season. However, losses to Missouri and Texas A&M dashed the Sooner’s hopes at another shot at a BCS national title, and instead the Sooners are headed to yet another BCS bowl as champions of the Big 12 in the conference’s final season as a 12-team league. Matchup to Watch: The nation as a whole has been well-versed in Bob Stoops offense and defense as the Sooners are seemingly a yearly feature in the Big 12 and BCS races. The real question here is how UConn’s offense and truly the entire team will be able to respond to the spotlight of their first BCS bowl in school history. UConn running back Johnathan Todman is among the best in the country, and at just 5-foot-9 will be a difficult task for the Oklahoma front seven to locate and tackle. 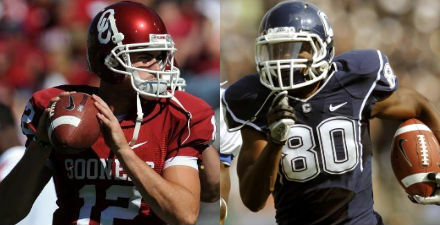 Can Todman and quarterback Zach Fazer overcome the perceived mismatch and hand Oklahoma yet another loss in a BCS bowl? BCS Know How Prediction: Yes, Oklahoma has made a habit of dropping the ball in the biggest situations — namely BCS bowls — but this matchup seems to be more in the Sooners’ favor than ever before. UConn is a better team than their record or rank show, but they’ll be hard pressed to hang with Oklahoma.